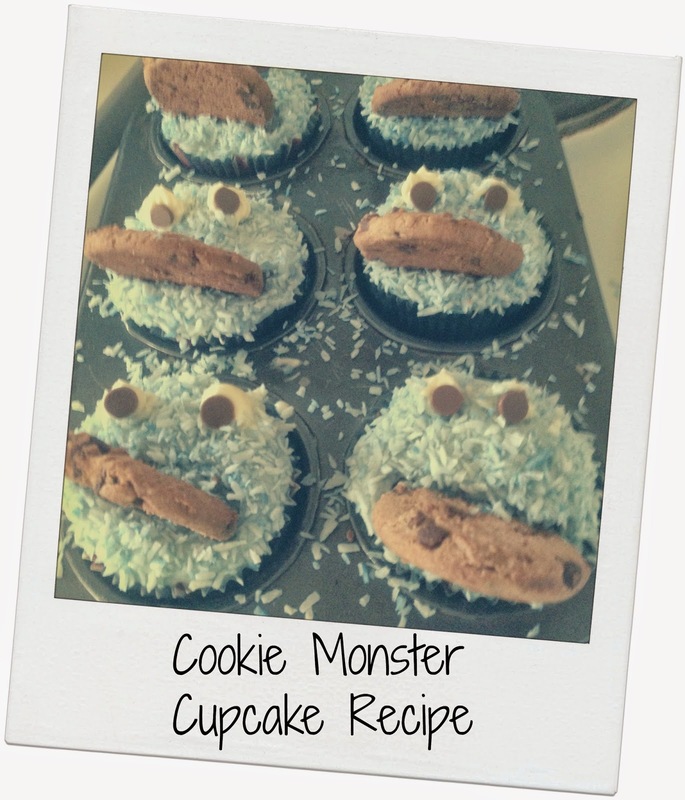 I don’t know if you’ve ever seen them, but Cookie Monster cupcakes look a-m-a-z-i-n-g and I simply could not wait to recreate them! of the muffin tin and leave to cool on a wire rack. Add the blue food colouring to the remaining mixture. Stir well. Once the cupcakes are cooled, cover them in the blue butter frosting. Sprinkle the tinted blue desiccated coconut over the cupcakes. Enjoy….and try not to eat them all at once! One thing I found was that the butter cream icing is quite hard to use for the eyes as it flops over a lot, so perhaps in future I would use a ball of normal icing.